I seem to have become a stop and start runner. One week I am all Connie Committed and the next I'm all Edith Excusey. But today was a new day, complete with a surprise *cool* front, and so I ran. And I remembered why I like this crazy running thing. Here's to hitting repeat tomorrow. Wow, 5 miles! You're Awesome Amy! 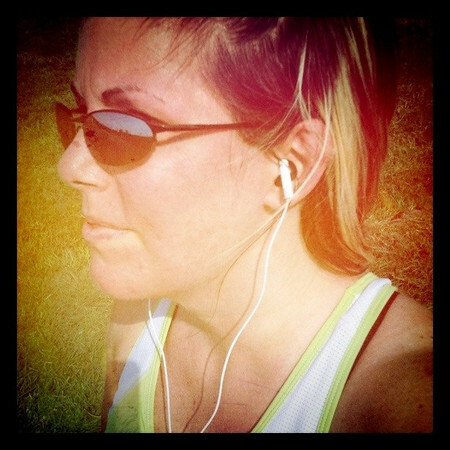 Right now I'm just One Mile Wanda :) What's on your playlist now, just curious? ROCKSTAR!! Love all of this!! I'm always amazed and impressed when that you go running in that wicked heat! I fear I would always be Edith Excusey! Yea you! I am also that kind of runner it seems. Right there with ya! Lately I just can't get past the 4.5mi mark!! And its SO frustrating since I'm gonna do my 1st half marathon in Dec. I keep worrying I won't be ready, or won't be able to finish:( I've learned how mental running is!